Cellular Shades are the most popular shading we install. Cellular Shades provide excellent privacy, an attractive, clean look, and are affordable! Cell Shades are GREAT insulators so they work well for that drafty room. They are also available in blackout fabric, perfect for bedrooms! 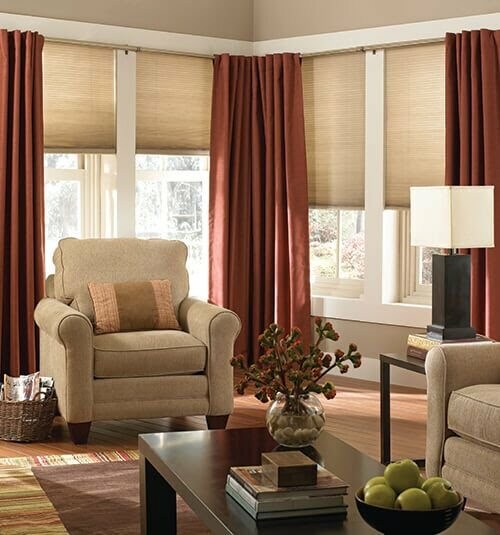 To dress up your room add a stunning valance or side panels to pair perfectly with your cellular shades!